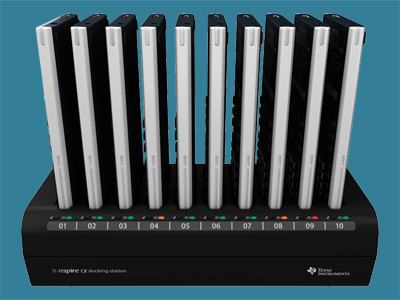 The TI-Nspire CX Docking Station is compatible with the TI-Nspire CX and TI-Nspire CX CAS handhelds and charges up to 10 units in 6 hours. It can also be used to update the Operating Systems of the calculators. The original TI-Nspire Docking Station is compatible with the 2nd generation of the TI-Nspire and TI-Nspire CAS calculators.